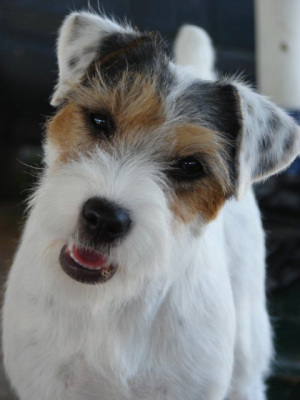 Parson Russell Terriers ​are playful, affectionate, fun-loving companions. They are also high-energy terriers with powerful hunting instincts. An ideal day for a pet Parson Russell Terrier would include a long walk in the woods, where he could explore every hole and sniff every tree trunk. They’re not the first breed we’d recommend for life in a city apartment, but we have heard success stories about urban Parson Russell Terriers—but it does take time, commitment, and imagination to make it work. The breed got its name from the most renowned of British huntsmen, Reverend John Russell, "The Sporting Parson," whose passion for fox hunting, hounds, and working terriers is legendary. The Parson Russell Terrier was first bred in the south of England in the mid-1800's to hunt European red fox, both over and underground, for the sport of kings. After John Russell's death, the name "Jack Russell" was misused to describe all mix and manner of working and hunt terriers, many of which bore little, if any, similarity to Russell's own terriers. Arthur Heinemann, who founded the Parson Jack Russell Terrier Club in 1914, drafted the first Jack Russell breed standard in 1904. He is an active and versatile Terrier. Easily trained to tackle many activities - Agility, Barnhunt, Companion, Conformation, Coursing, Earthdog, Hunting, Obedience, and many others.